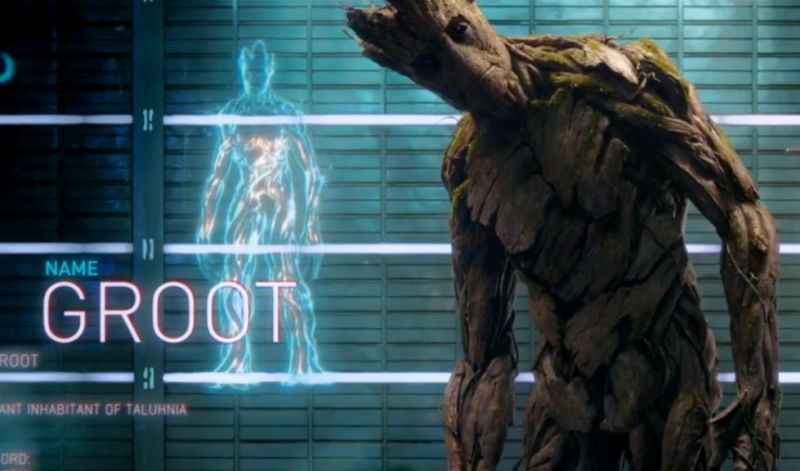 Groot, as some might already know, is one of the most lovable characters in the Marvel Universe. The enormous sentient tree-shaped alien features prominently in the 2014 James Gunn film, Guardians of the Galaxy. 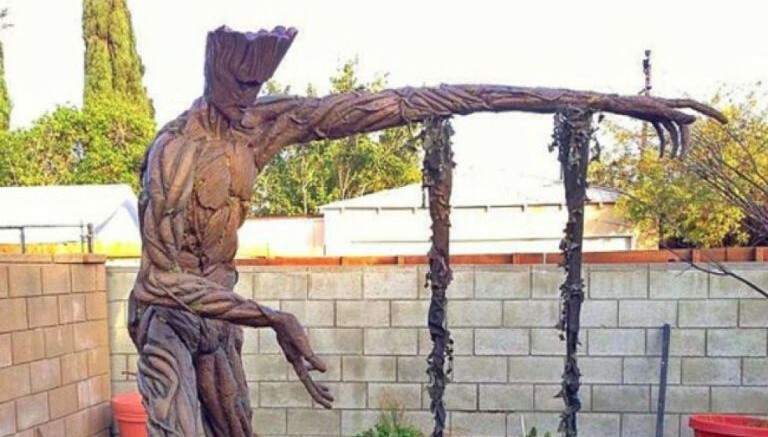 Recently, Gunn shared the picture of an incredibly artistic, custom-made swingset dedicated entirely to Groot. Wow! 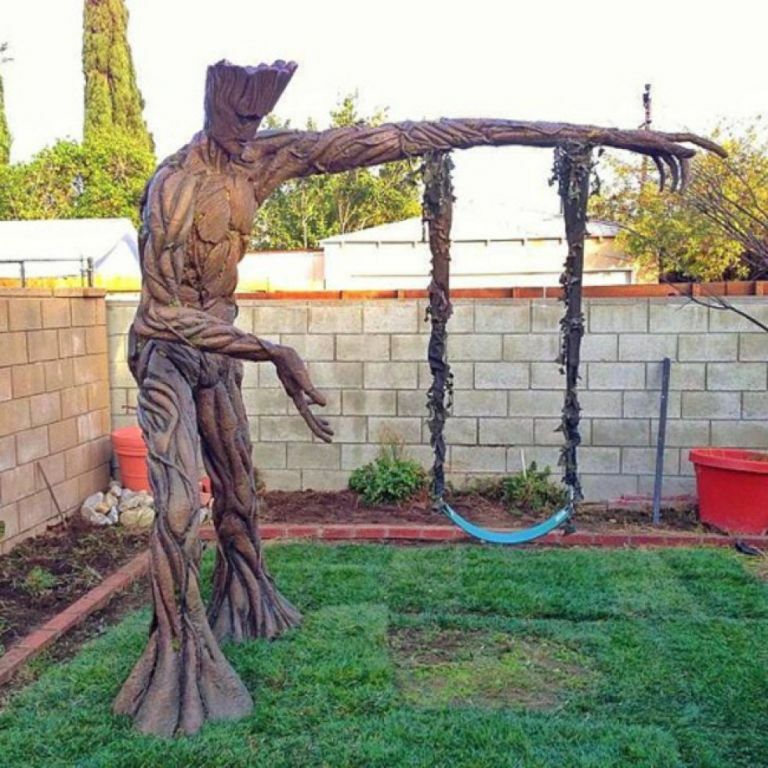 Some awesome folks made their kid a Groot swing for an upcoming reality show called Super Fans, Super Builds. I love it.